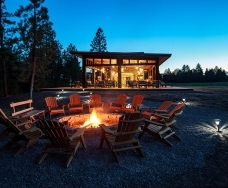 At the crossroads of incomparable luxury and unspoiled wilderness lies The Resort at Paws Up. 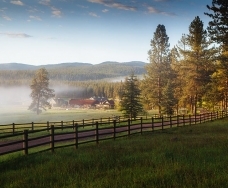 Distinguishing itself from the rest of the Montana resorts and standing apart from all other Rocky Mountain resorts, the Resort at Paws Up offers an enchanting escape into the tranquility and magnificence of Montana's pastoral countryside. 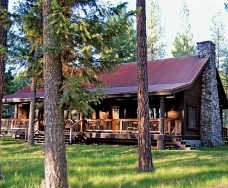 This luxurious ranch resort in Montana is discretely nestled among some of the most breathtaking country in the world. Here, you'll live day to day, adventure to adventure. 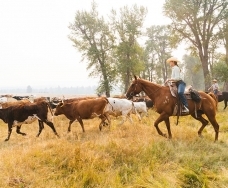 Spend an hour, a day or a week on horseback-all in a wilderness sanctuary you'll never forget. 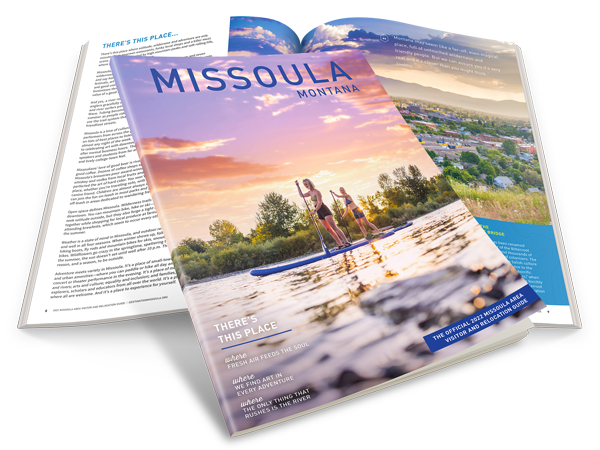 Cast a fly in sparkling waters to eager cutthroats, explore the land Lewis and Clark swooned over, or indulge in sumptuous in-room spa treatments. You'll sleep on the finest sheets in The Last Best Bed(R) amidst a landscape of impeccable rustic elegance. 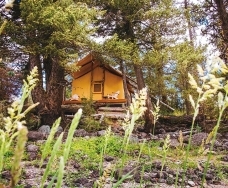 It is home to first-class adventure on a grand scale; an experience that other Montana resorts cannot match. If you dream of having your wedding in the breathtaking countryside of Montana, then come to Paws Up to celebrate the Montana wedding of your dreams. Paws Up is not only an ideal setting for weddings, but we also provide assistance with wedding planning with the help our team of professional wedding planners. State of the art sound system, lighting and audiovisual capabilities are also featured throughout the conference center (full equipped A/V services, wireless connectivity to high-speed wireless internet and connectivity to A/V equipment for presentations, and video conferencing); full service business center services. Two unique silos on either side of the Bull Barns exterior will feature both interior and exterior stairwell access to the facilities second level; elevator access provided as well. Sliding barn doors will be used as access doors on both the exterior and interior spaces. Whether your reunion is 8 or 80, our Event Planners take the hassle out of reunions by providing everything you need for a relaxing and memorable gathering. Custom wilderness excursions and activities reinvigorate relationships, build camaraderie and create memories to last a lifetime. The holidays are truly magical at Paws Up. The Resort is covered with a blanket of Montana's finest powder, the hot chocolate is steaming and the trees are ablaze in twinkling lights. Gather up the family for an old-fashioned sleigh ride, ice skate on a frozen lake, make a snow angel, and even try your hand at ice fishing. A heart and hearth-warming holiday experience. Whether it is your first or your fiftieth, The Resort at Paws Up is the last best romantic sanctuary for your anniversary celebration. Together you'll experience the thrill of a wilderness adventure, or the tranquility of a sumptuous spa treatment during the day. At night, you'll eat world-class cuisine, and sip on the finest wine. Our luxury accommodations tailor to the most romantic of needs. 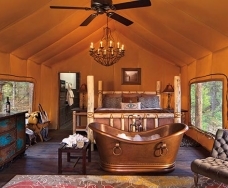 You'll sleep on the finest sheets amidst a landscape of impeccable rustic elegance. The memories made here will ensure that your anniversary will never again be forgotten. The Resort at Paws Up is indeed the finest among all the luxury resorts in the Rocky Mountains - truly The Last Best Place.